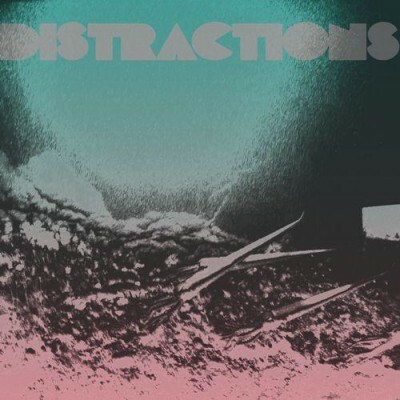 I first heard Distractions’ “We Were Better Off in the Rain” when they released it as a single earlier this year. On it’s own, it’s instantly catchy and a giant wall of sound, but little did I know it was just a small sample of one of the most intricate pop albums to come around in a long while. Dark Green Sea is as ambitious as it is strange. Singer and songwriter, Tom Owens comes off as a baritoned Brian Wilson and Dark Green Sea is slightly more operatic than the Beach Boys on their superficially comparable Pet Sounds. This album has so many movements, it’s difficult to tell where one song ends and the other begins. There’s two sides to Dark Green Sea. There’s the undeniable pop elements of a song like “You Were There Always Up All Night,” that begins as simple, fast-paced sunny pop, before splitting at the seams and turning to the bizarre Chicago by-way-of Dr. Dog-style horn section. None of these pop songs on Dark Green Sea are left untainted by the strange hands of Distractions, and I mean that to be a compliment. Though not a concept album, Dark Green Sea does steadily maintain a mood of unease and absurdity throughout. I couldn’t help imagining, as I listened, a darkly comical, yet oddly scary, underwater sea cruise with Distractions as the nightly lounge act.